Obama Messiah Movement is Quasi-Religious | Stop Obama Now!! ← Mitt Romney vs. Obama – Is the Fix Already In? The Obama movement is a quasi religious movement. Obama is seen as many things to many people consciously or sometimes unconsciously. Many blacks see him as the black Messiah or Savior and Louis Farrakhan publicly insinuated that he is that. Many whites see him as the redeemer of their white guilt complex. New Agers and other occultists have a similar concept of a messiah, who will be just a regular man of flesh and blood, who transforms the world into Utopia. Obama wants to be a world messiah and would dearly love for Muslims to regard him as the Mahdi (Messiah), who is also supposed to return in the Islamic version of the End Times. 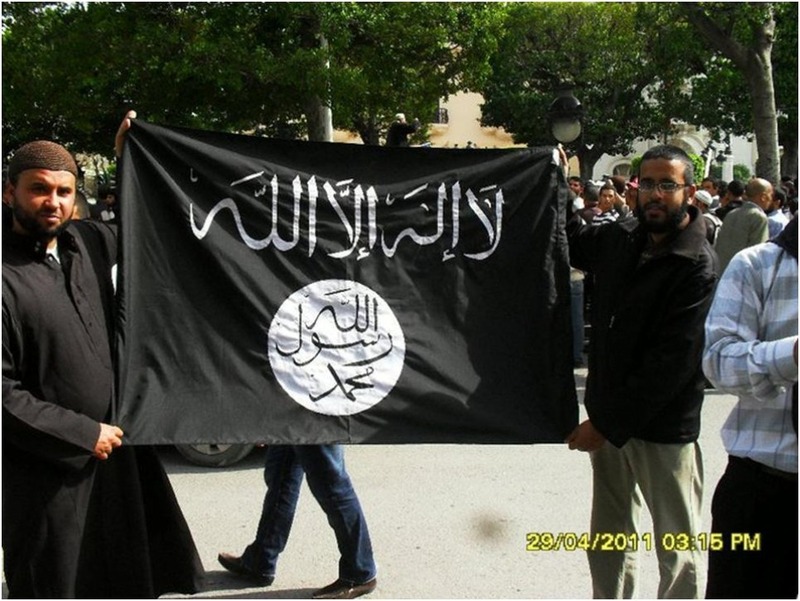 The black Al Qaeda flag with the moon on it signifies the return of the Mahdi. The Muslim Brotherhood is also expecting the appearance of a Mahdi, who will be a man of flesh and blood, and will make it possible to re-establish the Caliphate, a Islamic theocratic dictatorship, which unifies the Muslim world. This is the purpose of his turning over much of the Middle East to the fascist Islamist group, the Muslim Brotherhood, an ally of the Nazis in WWII that spawned Al Qaeda and other terrorist groups. If you are wondering why people accept high gasoline prices and the bad economy, without becoming completely disgusted with Obama, this is the reason. It is also the reason that judges obey his every whim. Mass psychology is a very powerful thing. Many have a near religious commitment to him. Obama, himself, promised publicly to heal the planet and make the oceans recede. The normal political talk about taxes, the economy and other such mundane issues will not change the mind of people, who really expect Obama to transform their lives and create utopian perfection on earth. The way to end a messianic quasi-religious movement like this is to expose it to the public, explain it to people and attack the core principles of the belief. This is also easier said than done, though. As a start, people have to start talking about it in the open as an occult religious movement that promotes the quasi-religious worship of a man, Obama, as divinity on earth, the Messiah.